Holiday shopping season is upon us. Sales upon sales and beautiful glossy ads are everywhere. Every toy, houseware, sweater, and gadget seems to be the perfect gift for someone on my list, and hey it’s on sale too! This time of year can be detrimental to my wallet. I have gotten caught up in the moment and bought too much because the deal was too good to pass up. Even though I had multiple gifts for my Mom or daughter I either momentarily forgot about those gifts or felt she “needed” to have this amazing product. Several years ago I came up with a plan. I needed to have a budget and clear gift ideas for each person on my list before I ventured out shopping. I have a spreadsheet, now in Google Sheets, with tabs back to 2008. Each year I list everyone I will be buying a gift for. This includes teachers, co-workers, family and friends. Next to each person are a number of blank cells for gift ideas along with a budget. I highlight my total budget in big bold numbers at the top of the sheet. Before I ever set foot in a store or open up Amazon I start brainstorming gift ideas. I reference back to earlier years and look at what I purchased and what other ideas I had for each person. Once I have a couple of ideas in mind I start shopping. If I’m in a brick and mortar store I can easily pull up my Google Sheet for reference, it’s accessible anywhere. This sure beats carrying around a piece of paper. When the gift is bought and wrapped I highlight it and note the actual price. At this point it becomes a game or sorts, I have a roll up of actual money spent right next to my budget amount. Can I come in under this year while still giving fabulous gifts? I love the suspense. At the very bottom of the sheet I have columns for each family member. Here I list our Christmas wishes. For the kids especially I list everything I can think of along with their wants then highlight it when I mention it to an inquiring relative. It helps me figure out what to buy so they are not receiving 10 of the same type of item. This will open a view only Google Sheet. Open it in your browser then save it as your own file. Once saved you will be able to edit it. I hope this helps you as much as it has helped me. Simple planning and a little self-control go a long way during the holiday season. Your wallet will thank you come January. 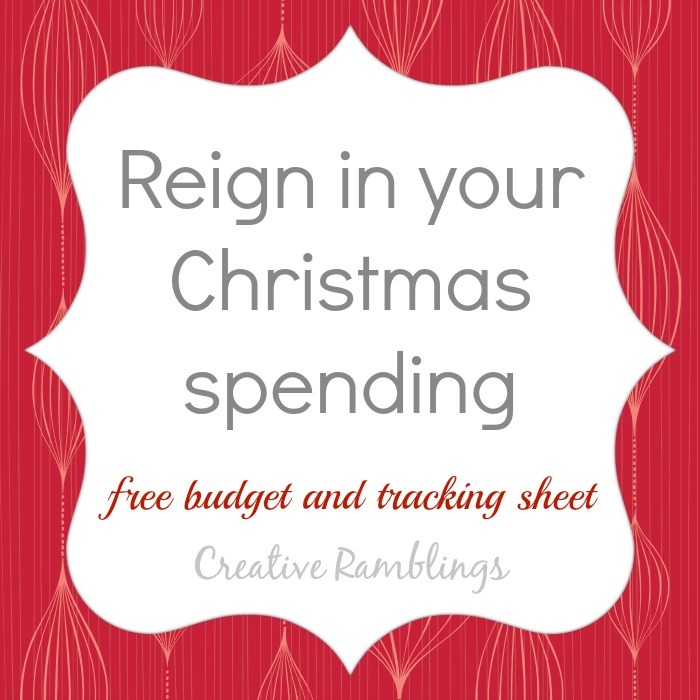 How do you reign in Christmas spending? I love your budget idea. I like the easy route. I pay one car payment and give two gift cards for all three children on Christmas. But I would use your spreadsheet in a heartbeat if I had a list of people to buy for. I like your style of gift giving! Thanks for stopping by today. Budgeting is so hard for me! Thanks for the great tips. 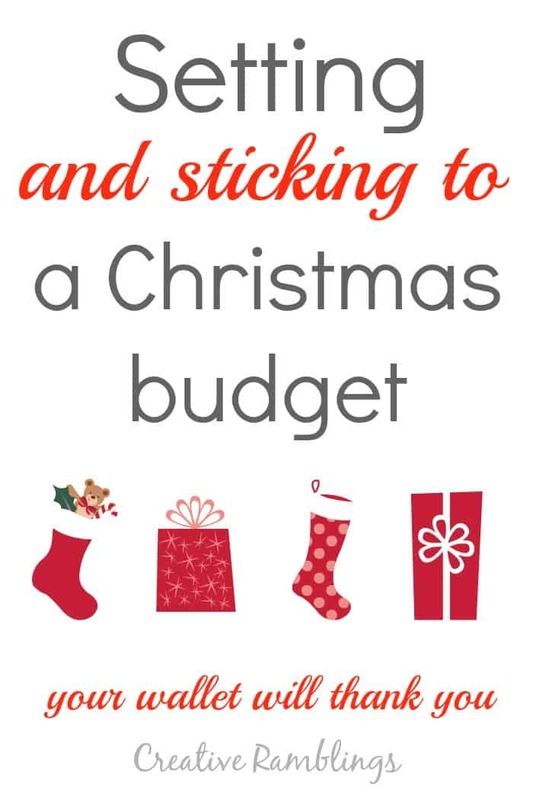 I need to do this!i always go overboard at Christmas…. Great tips! Thank you for sharing as it is a crucial topic for so many this season! Budgeting is hard for me too! I think I’m going to stick to it in 2015! Well that’s my plan anyway! Oh my gosh! This is awesome!! I haven’t started Christmas shopping yet, but I am REALLY excited to have found this. I love all things organized and this will help me keep sane this season. Thank you!!!! SO glad you found this helpful! Merry Christmas!